1. 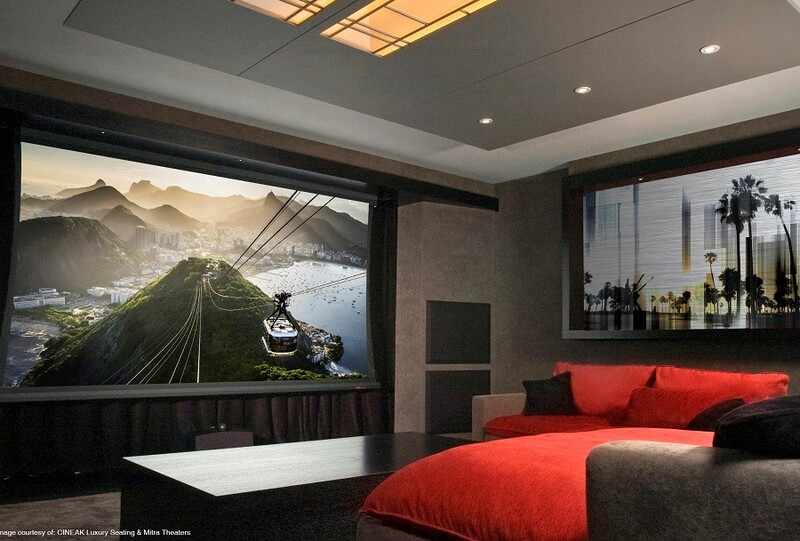 Buying Displays That Are Too Large: Everything's bigger in Texas; unfortunately, that often seems to be the case with our client's home theater displays as well. But bigger is not always better. The right screen size will depend on your room dimensions and seating arrangements. For example, the larger the screen the further back you need to sit for comfortable viewing. So if your theater is in a relatively short room, a 74” screen is going to have you craning your neck to follow the action. 2. Mounting TV or Screen Too High or Low: Often we find that screens are not mounted at the right viewing angle. This is because different seating options and layouts will put viewers at varying eye levels. For this reason, you should install your seating before you decide where to mount your screen or television. 3. Not Getting the Right Speakers and Receiver: If you want a premier home theater system, you need to invest in high-end equipment. Your speakers need to be strong enough to fill the room without resulting in muffled sound while AV receivers need to have enough watt power for your speakers and enough inputs and outputs for the speakers and sources you want to use. The experts at ProFocus Home Entertainment can enhance you theater with powerful, high-quality speakers from Klipsch and AV receivers from Integra or Marantz. 5. Having No Control Solution in Mind: With a DIY installation, you may end up with a different remote for your projector, television, AV receiver, satellite dish, etc. While this may not affect the quality of your images and sound, it can make the viewing experience such a hassle that you end up not wanting to use your theater. You need a smart control solution that makes it easy to use all your equipment. ProControl offers remotes, touchpads and mobile apps that let you manage all your components from one device so you can set up the perfect movie-watching environment in a matter of seconds. Want to recreate the theater experience in your home? ProFocus Home Entertainment's expert AV technicians help you avoid common installation mistakes to get the most out of your space.